I have a ridiculous number of mushroom photos I need to post, but my wife and I came across something truly awesome on the magnitude that other things can wait. 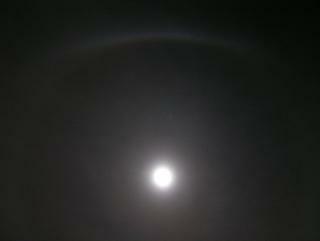 What you are looking at above is known as a “moonbow,” the moon’s counterpart to the rainbow. Sometimes it appears as an arc in foggy weather. 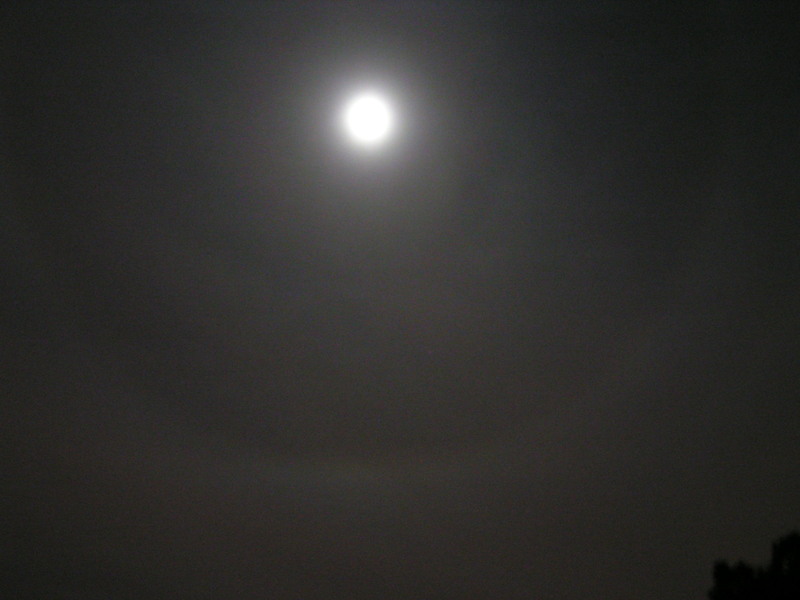 We were astounded to see a nearly-full moon so high in the sky that it created a perfect circle.